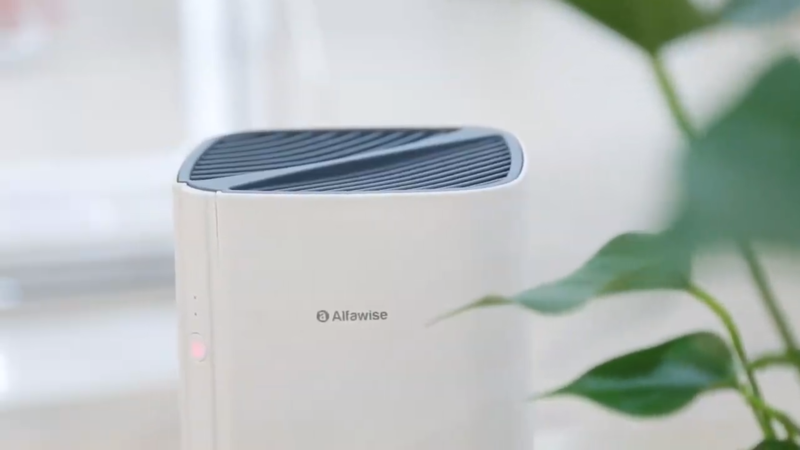 Alfawise P1 Hepa Desktop Air purifier is a device which is used to clean the air. This device is very advanced so it can work independently to optimize with the environment and its efficiency is very high in doing a particular task. Moreover, it can be controlled through the user smartphone so it can be very convenient for the user and its price is also within a reasonable range to the customer. The air which we usually have a large number of impurities such as this air also have bacteria, dust, viruses which are responsible for the diseases which are occurred due to the impure air. Even in our office, we have to use a large number of furniture’s, books and also other devices which has a smell that may be unpleasant to the user. 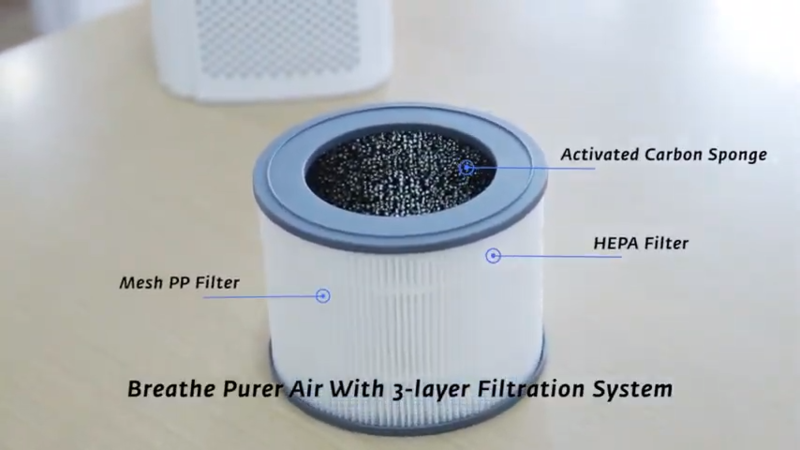 So, by taking the Alfawise P1 Hepa Desktop air purifier on the room we can easily solve this problem because this device takes out all of these impurities inside on it and give pure and clean fresh air which is beneficial and necessary for living healthily. 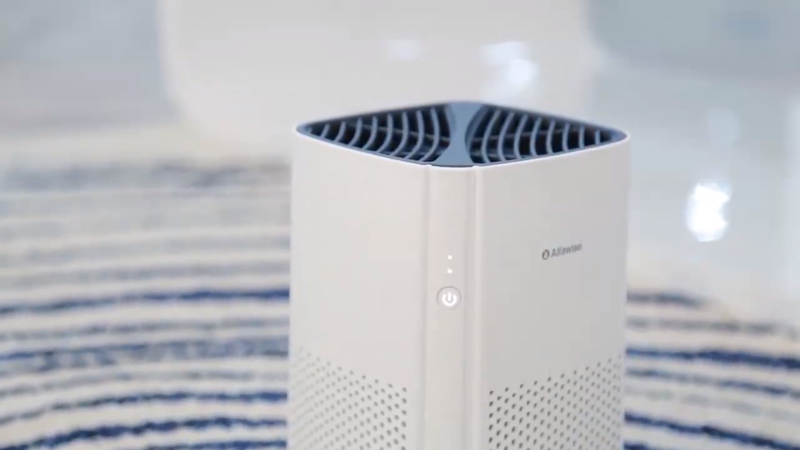 Alfawise P1 Hepa Desktop air purifier has a 3 layer filtration system. This system is so nicely designed that it can be used for frequently doing its task and also does the task so deeply. By activating the filtration system it can circulate and remove the impurities and give a fresh clean air for that places even it can be used for an 8.5 m2 room. So, it can be said that it also covers a pretty large area by using this filtration system. Its size is not too large more specifically its size is very compact and convenient for a user to carry it in anywhere. A person may travel from one place to another in that time the user can take it and use it in the where the user needs to do. As it is very small in design, so the user can always take it with him or her that will give a better atmosphere to the user. This device creates some noises but this noise is not too much disgusting at all. It has two levels noise: one is operating at a quite higher speed and another is at a lower speed which operates at a 33 lb. So, in the night time, the user can use the mode which does not give too much noise as everybody always wants to pass night time peacefully. 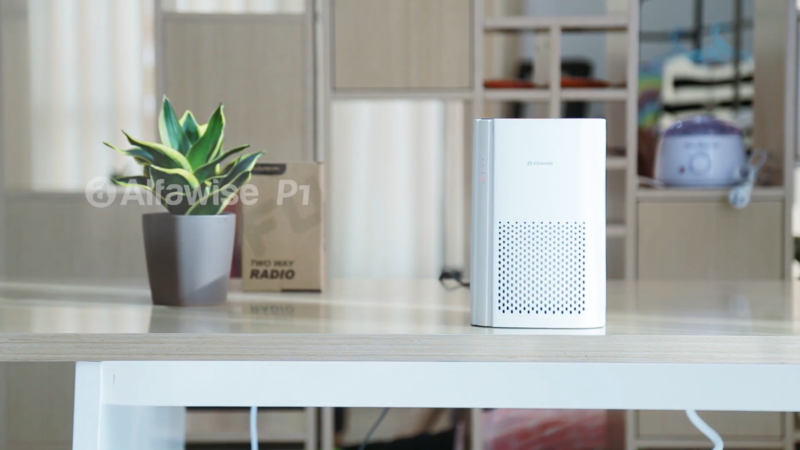 Alfawise P1 Hepa desktop Air purifier removes smog, unpleasant smell, pollen, allergen, dust, and tiny particles. 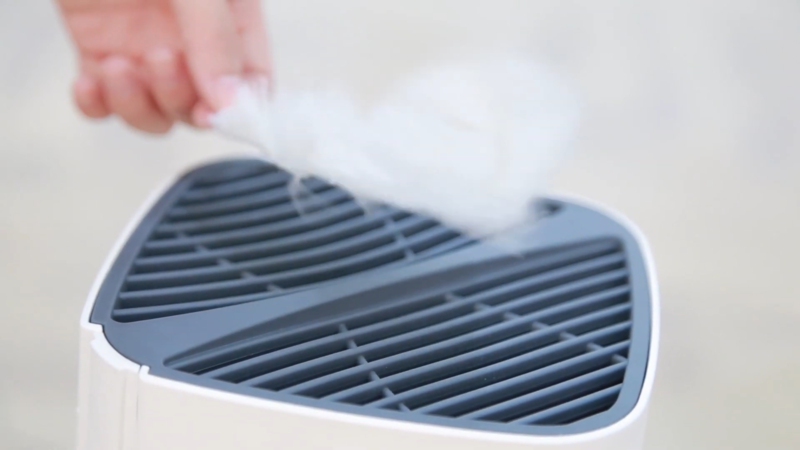 Thus, it can create a fresh atmosphere for which the user can take a breather with clean air. The filter of Alfawise P1 Hepa air purifier needs to be replaced after a 4 months span. If a user does not change the filter in a regular basis, then it will not give a better performance to the user. Besides, the filter gives a signal by flashing the red power light. After changing the filter, it will again do the task completely and nicely. Moreover, its replacement method is not a difficult task to a user can do it without any hustle and also without the help of experts. 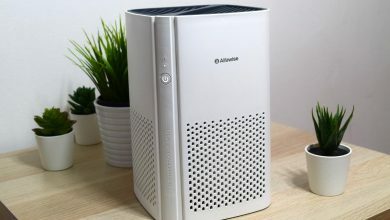 Alfawise P1 Hepa desktop air purifier does not consume too much power. It takes only 15W which is quite lower so a user can use it safely. 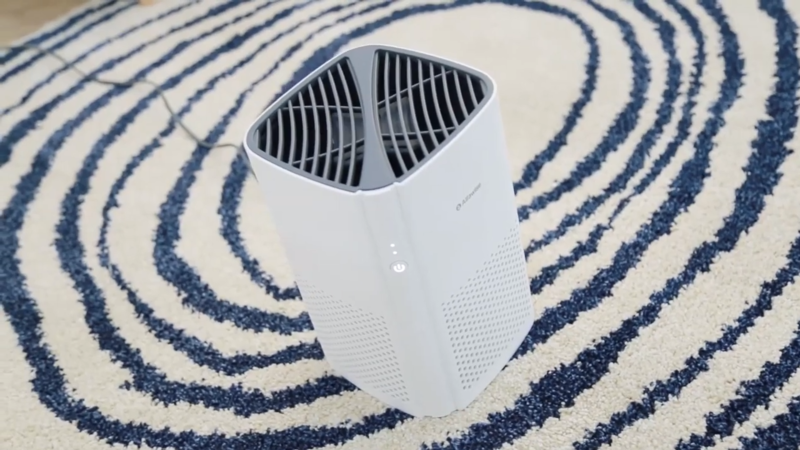 The controlling of Alfawise P1 Hepa Desktop air purifier is very easy. Just using the touch mode to do the corresponding task, a user can easily do his or her preferable task. By using the Google play store a user can easily do the task by using the user’s smartphones. As nowadays everybody has the knowledge to access the internet, so a user can easily install it in the smartphone. So just by instructing in the APP, a user can easily do the task completely very easily. 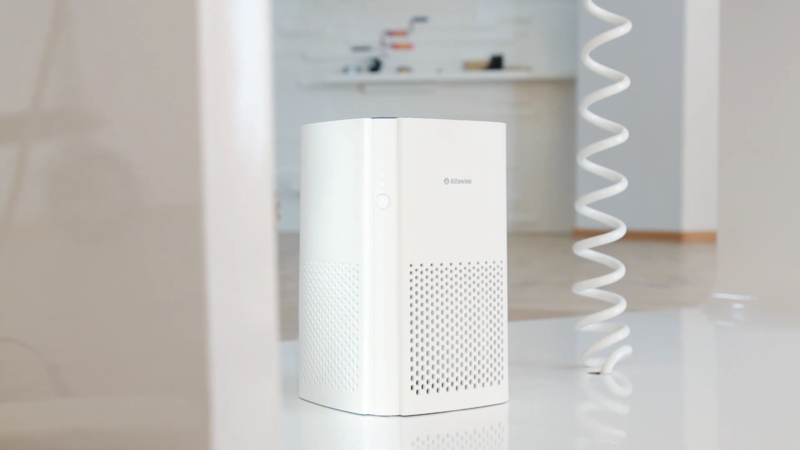 An LED light is a built-in feature of Alfawise P1 HEPA desktop air purifier device. So, in the night time due to the LED light, a user can do the task very comfortably. 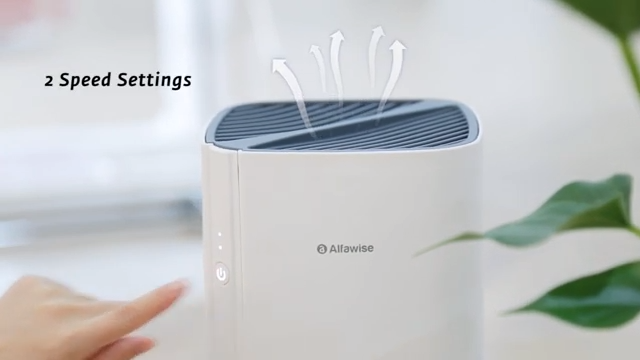 Alfawise P1 Hepa Desktop air purifier has multiple numbers of usages. It always gives a reminder for the filter replacement so a user does not need to be too much tensed and scared about it. It also has 2-speed modes setting which is also very beneficial because a user can use a mode with his or her preferences. As this is a product which can be carried by a user in every place, so its weight also needs to be light. If this product’s weight is too much, then it creates a difficulty for the user to carry it conveniently. The weight of Alfawise P1 Hepa Desktop Air purifier is only 1.3 kg so a user can easily carry it. Cost is always a factor for buying a product. Here, the price of Alfawise P1 Hepa air purifier is not too much at all. Besides, it is affordable for every type of customers. Moreover, its functions which are very rare in the other brand’s devices can be very much vital in doing its particular tasks. 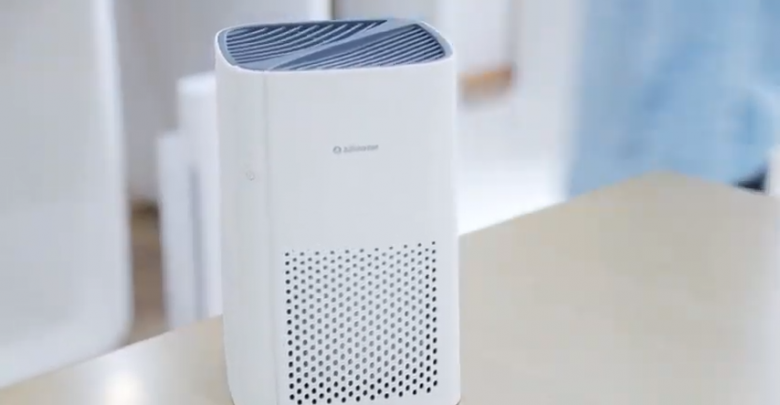 Alfawise P1 Hepa Desktop Air purifier does not too much negative side. Only its noise level which is very lower still can be a concern for the user who wants to pass their night time in very peacefully. Its price, which is already mentioned that it is affordable; still it can be a concern for some of the users. 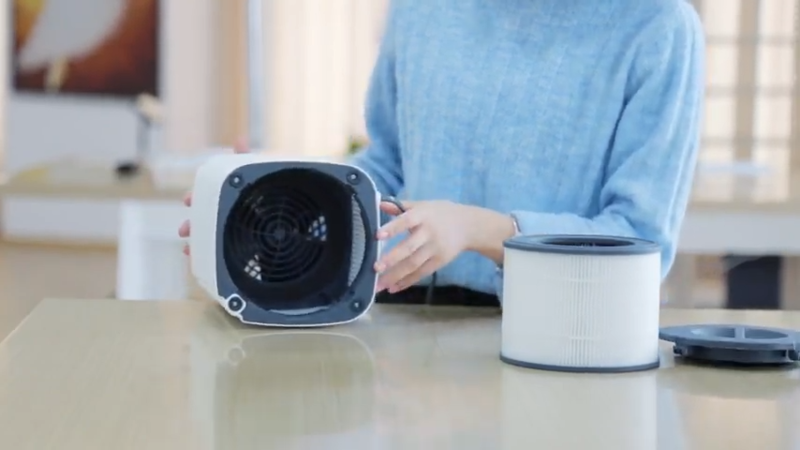 Alfawise P1 Hepa desktop air purifier is a device for cleaning the impurities which are dangerous for the human body and cleans the air by which a user can take a breather which is pure and fresh. This device is very advanced so it can work independently to optimize with the environment and its efficiency is very high in doing a particular task. Moreover, it can be controlled through the user smartphone so it can be very convenient for the user and its price is also within a reasonable range to the customer. Lastly, its price which is very much affordable can be extensively used by considering all of its extensive functions.